My daughter LOVES popcorn! Seriously, she could eat popcorn day and night if I let her. The rest of our family isn’t as keen on popcorn so we are spicing it up a bit. 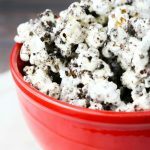 This cookies and cream popcorn recipe is so yummy! If you love OREO’s then you’ll love this. 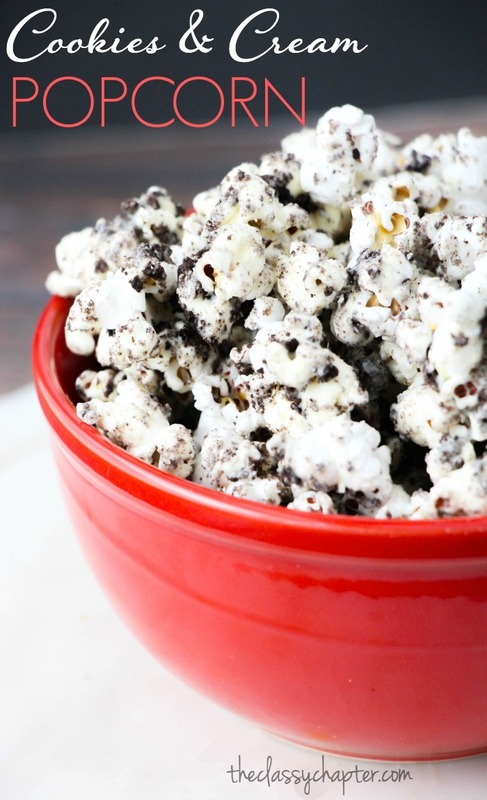 It’s like your own OREO popcorn! This recipe is so simple to make, my 8-year-old daughter was able to make it on her own. Don’t feel like you have to stick to the recipe. Get creative and have some fun with it! Pop your popcorn and measure into a large bowl. Remove the unpeopled kernels as you measure the popped corn. Let the chocolate cool for a minute, but don’t allow it to harden. Meanwhile, place the OREOs in a food processor and chop – or place in a freezer bag and bash with a rolling pin. 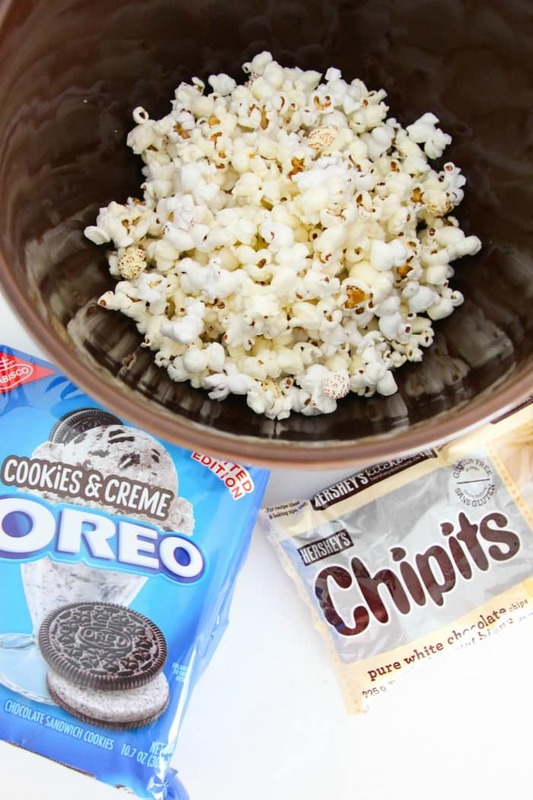 Pour the melted chocolate over the popcorn and stir to coat. Add half of the crushed OREOs, stir, and then add the other half. Spread out on a cookie sheet and let dry before serving or packaging. Let the chocolate cool for a minute, but don't allow it to harden. Meanwhile, place the OREOs in a food processor and chop - or place in a freezer bag and bash with a rolling pin. Make sure to grab your meal planning printable set below!